I shared this on the fb page for this blog. We see an article from Patch for the coming runoff in Ward 6 between Deborah Foster-Bonner and Ald. Roderick Sawyer. If you didn't get the change to find out more about Ms. Foster-Bonner before last month's election take your time and read about her before next month's run-off. 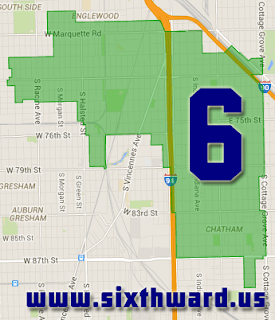 And as always feel free to chime in on whether or not you think Chicago's 6th Ward is better off with a change in the Alderman's office or if the incumbent is doing the job in his current role.